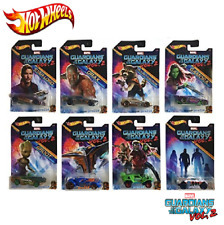 1:64 Hot Wheels HW Screen Time Marvel Guardians of the Galaxy Vol. 2 - "Milano"
Hot Wheels Milano. HW Screen Time. Guardians Of The Galaxy. This page was last updated: Apr 23 18:08. Number of bids and bid amounts may be slightly out of date. See each listing for international postage options and costs.